Year of the Labbit: Ready To Roll! Forgive the absense of the labbits of late. It is mud season in Vermont, that brief period of a few weeks when everything shuts down in Vermont because it's just too darn muddy to do anything but clean water out of the deepest depths of your warren. Spring is just around the corner for the Green Mountain labbits. 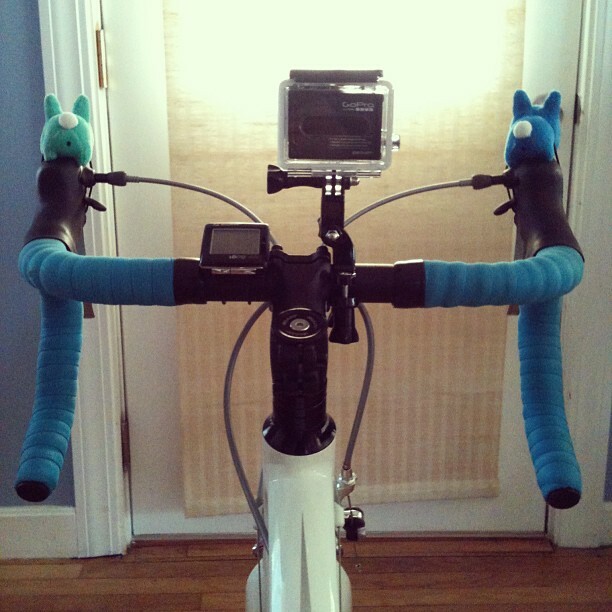 The roads are mostly clear of snow, and that means the bike is off the trainer, the road tires are back on, the computer and GoPro are set up, and Masher McBuns and his friend Doddy Blue are ready to roll. Adventure awaits on the other side of that door! Labbits LOVE adventure!